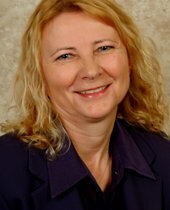 Idaho Realtor with over 20 years of marketing and sales experience, Krystyna has established herself as one the top producers . She is a power negotiator bringing innovative ideas and strategies to each transaction. Krystyna’s market knowledge combined with her passion and indefatigable work ethic continues to exceed client’s expectations, proving that personal integrity does bring success. Krystyna’s extensive marketing and managerial skills that she had acquired prior to her real estate career, during her successful career in international logistics, will ensure that you will get the best possible deal as well as professional and efficient service. With years of experience helping local buyers and sellers just like yourself, Krystyna knows how to locate the finest properties and negotiate the best deals. Krystyna and her professional team have extensive knowledge of the latest market conditions, government regulations, and upcoming developments — so that you don’t have to. Krystyna’s Team has helped 100s of families buy and sell their homes. At Atova understand the local market better than anyone. Our offices in Boise and Eagle are strategically located to better service every client in Boise Metro. Put our experience and professionalism to work for you. You can count on our integrity and honesty. Your satisfaction is always our goal. “During the course of my life I have personally been involved in 23 real estate transactions and I can seriously say that you are the #1 realtor. I respect your ethics, knowledge and experience as a professional dedicated to providing the most efficient, thorogh and gracious service to me, your client; you went the “extra mile” for me and I am so grateful and appreciative for your expert assistance.” Deanna D.
“Dear Krystyna, Thanks to you, selling my house was a much easier process. Your really went above and beyond to accomodate my dogs and my schedule. You took a lot of the stress out of moving. I have recommended you to all my friends who are thinking of moving.” – Tana S.
“Dear Krystyna, We moved in on Monday and have lost of boxes to unpack, but wanted to take a moment to thank you for your excellent service…” -Ann and Andy C.
“I appreciate your help very much for selling my house; professional and helpful guidance toward your client. As you know that I am grateful and needed your professional help very much. I also appreciate Century 21 Amber Realty; gave you supports when you needed, to sale my house which was not an easy task to sale it. My credit which I have been worked and maintained it; is not ruined or lost because of my hardship. Again I hope that Century 21 Realty and you Mrs. Baty would accept and know that I highly appreciate and sincerely remember your excellent work and help. Your work is fantastic; because you helped me who needed help and I asked for help at the right place and the right person.” -Qui D.
“Good morning Jonathan and Kristina we just want to thank you so much for all the work everybody did to make our dreams come true buying our first house. We’re really happy and thanks again.” – Robin D.